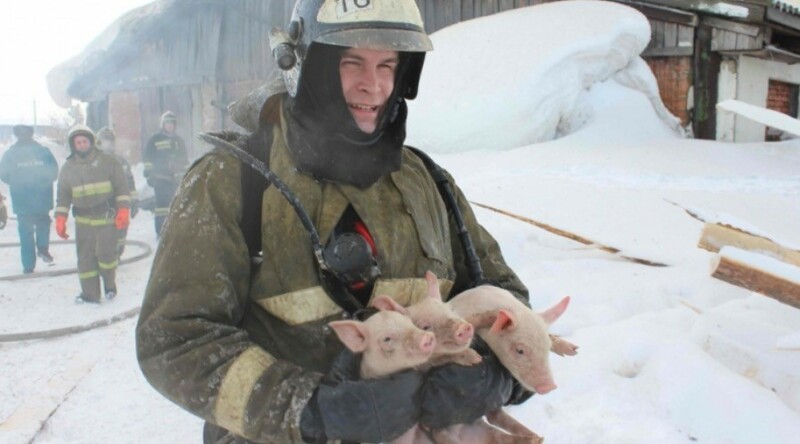 Russian firefighters managed to save around 150 pigs, many of whom were piglets, from a huge blaze that broke out in a barn in a Siberian village. The touching rescue operation was captured on video which sparked a huge response on social media. The blaze broke out in a one-story building in the Chernaya Rechka village, some 12 km from the city of Tomsk in Siberia, EMERCOM has reported. According to the property owners, some 200 pigs and piglets were kept there. When firefighters arrived, the roof was on fire, but undeterred, they entered the house to save the animals. 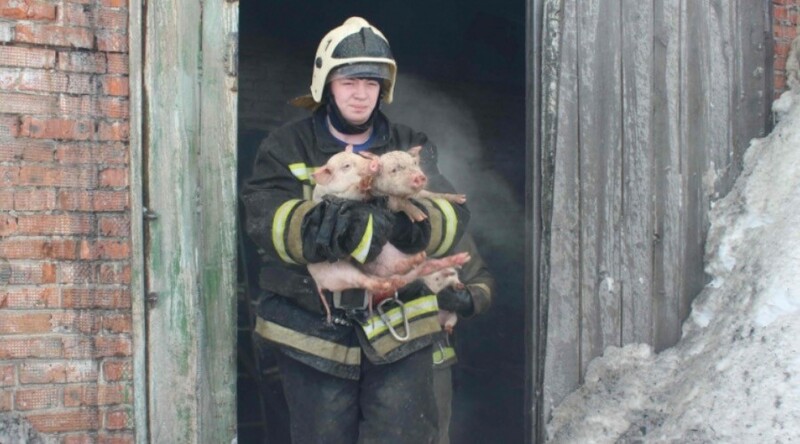 The video shows firefighters carrying out piglets which are burnt, squealing and covered in firefighting foam but alive. 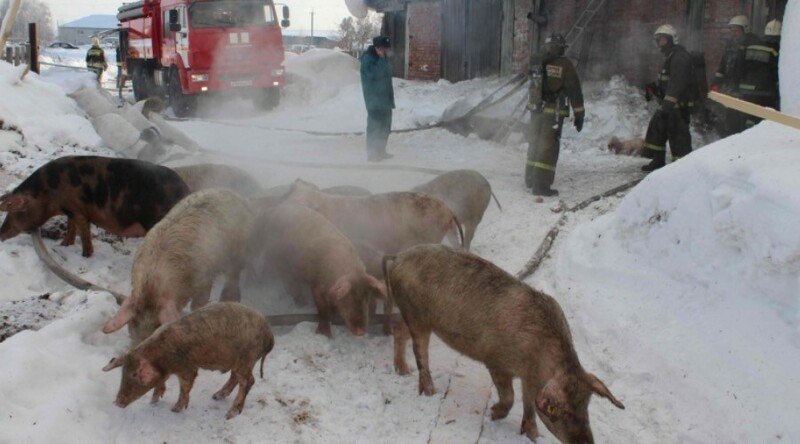 At least 26 firefighters and seven vehicles took part in the ‘pigs’ rescue mission. 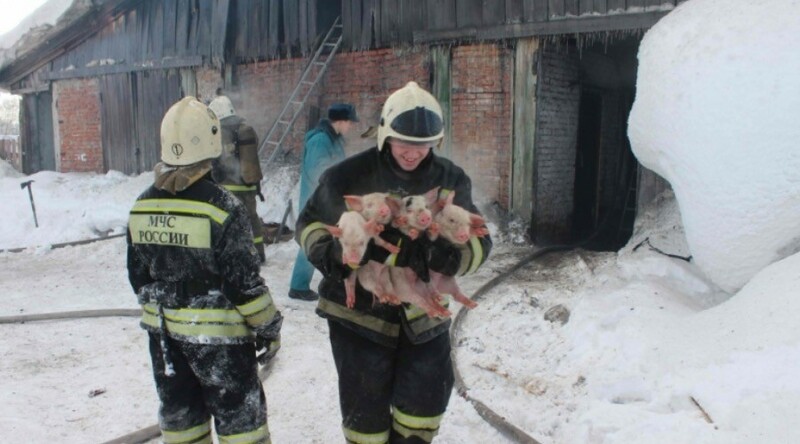 People on social media praised the work of the brave firefighters and expressed adoration for cute and funny piglets. EMERCOM also released photos of the rescue mission which were posted online.